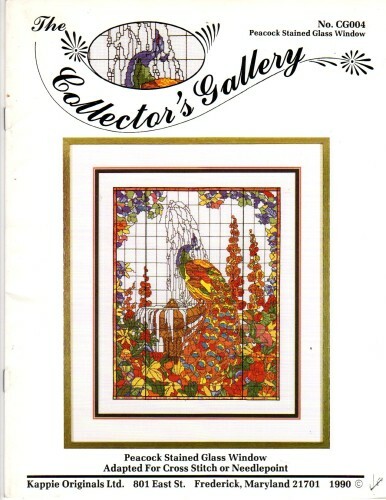 Kappie Originals The Collector's Gallery Peacock Stained Glass Window Cross Stitch and needlepoint Pattern leaflet. Stitch count 227 x 279. Price tag on cover. This chart appears to be in new condition.